Work from the four individual artists fills the space around the collaborative focal point. Each piece represents the artists’ own intimate thread connecting themselves and their work to the collaboration process. As the eye moves from focal point to periphery, the installation unravels, revealing its individual parts and the conceptual lines tying them together. The beautiful thing about Exquisite Corpse is its complete and utter detachment from any kind of traditional process. In this game, an individual scribbles an image on a piece of paper, folds it, and releases it to another who does the same. By the end of the game, the paper unfolds to reveal a mechanism that no one artist could have imagined without the others. Unraveled employs this technique of non-communicative collaboration in an exercise of letting go; in unraveling one’s perspective of one’s own work. Upon entering the gallery space, two projected videos confront the viewer, looping each artist’s process and thus pulling back the curtain and unraveling the mystery that often surrounds completed works. 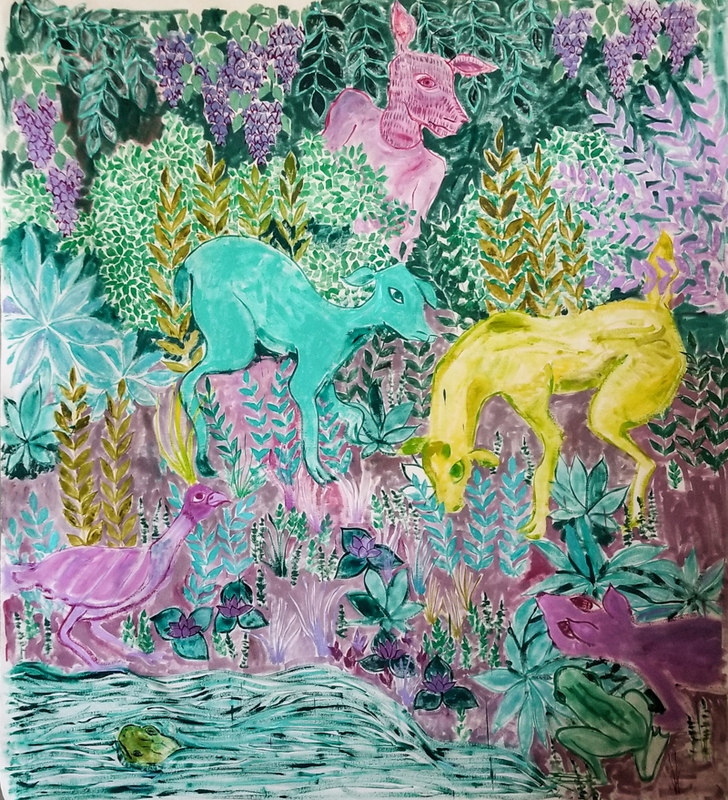 A central collaborative piece combines four very different artistic voices and styles in such a way that leaves interpretation open to viewer and artist alike. Each artist took turns adding to the piece over a one month period, leaving the next artist to adapt their contributions to the previously unseen work before them. In being forced to improvise composition and meaning, each contributor is unraveling the threads that tie them individually to the centralized piece. Artist Statement: Barolli explores tension as a medium in his sculpture/painting work to provoke a perspective on harmony. In his work, tension takes form in abstraction, opposition and suspension. Waste materials, ones in relation with each other, they create an aesthetic, an expression of anthropomorphic and evocative forms. Metal, fabrics, woods are assuming one other meaning, a ‘new relationship’. Most often a piece will have movement upon first touch or approach- components look attached, but actually they are not. He uses misalignment to provoke harmony at every juncture, while at the same time creating the effect of movement. Through negative intention, he purposefully misaligning components to cause the viewer to react, to think about the movement from chaos to balance. Nothing is static in his work, unless there is strong cause. 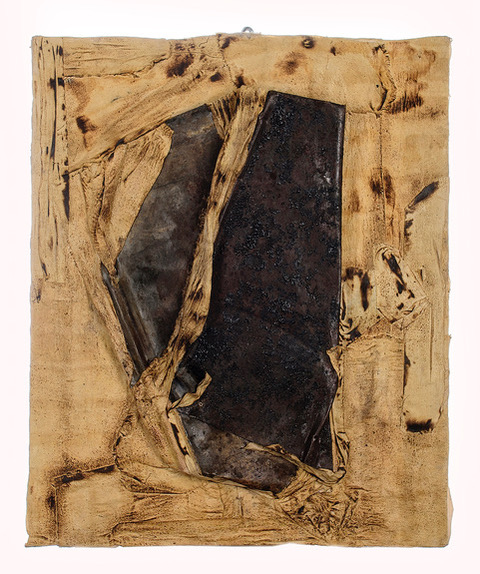 Barolli’s work can best be described as visual metaphor for the expression of “ from chaos to order”. Artist Statement: I began working mostly in oil on canvas in a representational manner, influenced heavily by Surrealism. After strong criticism of my work, I immediately started to expand my palette of materials and started working in many different mediums. While practicing in multiple mediums I also discovered my appreciation for “meaningful coincidences”. This relationship is especially important in the process of my found object work, although it finds its way into most all of my work as I take somewhat of a “holistic” approach. It might take a couple of months or a few years to complete a piece, but the inception of most ideas start when I find the initial object. Typically I will sketch the idea immediately when it comes, conserving the pure, immediate expression of that vision and composition. The rest of the process is simply waiting for the other objects to manifest themselves. Most found object pieces are like souls crying to be discovered. They want to be heard, to be explained. It's like the idea finds its body. Working without attachment to a specific medium allows me to think and work in installation and design immersive experiences.